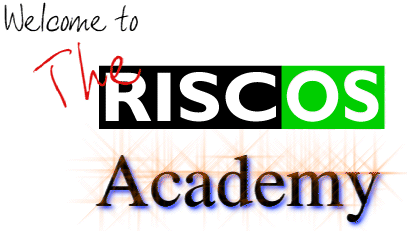 The RISC OS Academy is an initiative founded by Paul Vigay, which aims to not only provide expert tuition for beginners wanting to start programming and web design, but also hopes to encourage the use of RISC OS as a development platform. Subscription is annual and entitles the student to access all the resources within the Academy web site, as well as contact Paul for email enquiries regarding any aspect of the courses available. Newcomers Introduction - Find out more about the Adademy and what you can gain from it. Subscriptions - Enquire as to joining the Academy. Glossary of Terms - A quick index of technical words and jargon used. Reference - A handy reference library of additional information. Resources - A comprehensive guide to resources available. Contact Administrator - Contact Paul with any feedback or comments you may have.